Canadian News : Rack-M-Up Billiards: Women's Only Tournament Coming to Cornwall! 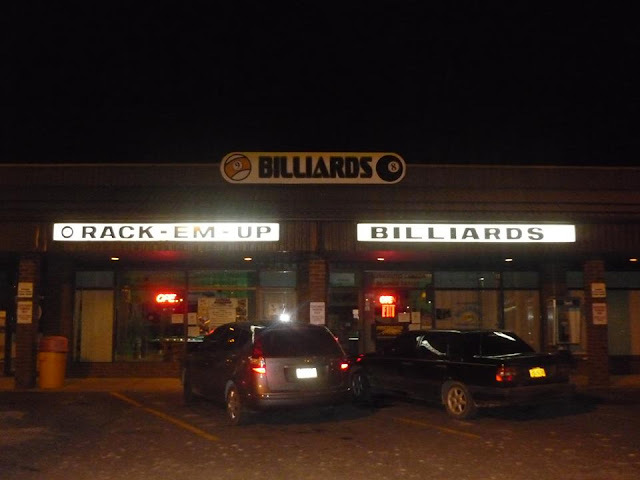 Rack-M-Up Billiards: Women's Only Tournament Coming to Cornwall! I am pleased to announce that my home room of Rack-M-Up Billiards will be hosting its first Women's Only tournament October 22. This will be an independently run event by Loreen Toutant. She moved from the GTA to Cornwall a few years back and as been a welcome addition to our scene here. Toutant is a very level headed player who despite starting pool later in life has become one of the better amateur players in the area, and has competed in several Canadian Championships among other big events. For more information please see below. I look forward to seeing who shows up for this one! This is a 1 day tournament. Registration closes @9pm Saturday,21 October 2017 The game will be 9 ball on black crown 4 &1/2x 9 foots The 9 ball is re-spotted if made on the break The 9 ball must ALWAYS be called (re-spots if pocketed during the game & was not called) The game continues until the 9 ball is pocketed in the called pocket OR leaves the playing surface. When ONLY the 9 ball is left to shoot, LOSS OF GAME if 9 ball goes in uncalled pocket. Rack your own .. coin toss or lag for 1st break Play format will be round robin group(s). (races to 2 )# of players and # of groups will be determined by the size of the field. Higher wins in each group will move to finals board. Finals Format will be races to 3 (brief meeting for the re-draw and to review format) There will be NO handicaps. All women are encouraged and welcome to play. When you finish a match, both players MUST report your scores to TD(Tournament Director) and choose your next opponent in your group until you've played all opponents in your group. $10,000 Added Archer Cup Announced!